Salmon farming significantly impacts the surrounding environment, but these impacts are even farther reaching if fish escape from the net-cages. Storms, equipment failure or human error can all result in damage to the nets and the release of tens of thousands of farmed salmon into the surrounding water. Over time, even more salmon can escape due to smaller accidental releases or escapes referred to as “leakage.” These escaped fish have the potential to spread disease and parasites, as well as compete with wild salmon for both food and habitat. Although the majority of farmed salmon in BC are Atlantic, coho and Chinook salmon are also farmed and pose the added risk of breeding with wild salmon and genetically affecting indigenous stocks potentially decreasing wild salmon biodiversity. When operational, the Atlantic Salmon Watch Program, a joint initiative between Fisheries and Oceans Canada and the BC Ministry of Agriculture and Lands, reported observations of escaped Atlantic salmon in over 80 BC rivers and juvenile Atlantic salmon, indicating successful spawning, in 3 rivers. If we don’t have a clear understanding of the number of farm salmon that are in BC’s coastal waters and rivers, it is impossible to estimate the full impact escapes are having on wild salmon. 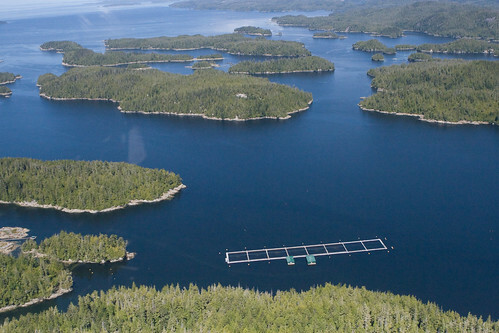 Allowing Atlantic salmon to be farmed in BC was a foolhardy mistake. The most straightforward way to avoid net failure and escapes is to stop using net-cages to farm salmon. Getting the salmon out of the water and into closed containment systems would solve many of the problems associated with current salmon farming practices.